Did you watch the morning news on your big screen TV this morning? Make some toast in your new toaster? Trip over your kid’s toys? It’s more than likely that these products came from, or move through, the Port of Shanghai. The Port of Shanghai is the size of 470 football pitches (3.94square kilometers) and handles a mind boggling 32million containers per year. There has been a huge increase in containers handled in the past eight years (in 2004 only 14 million were handled). Rapid expansion of the port can be largely attributed to construction of the Yangshan Deepwater Port, which can accommodate the world’s largest container vessels. China’s government has also been spending on infrastructure. 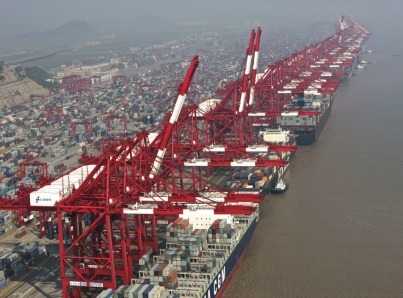 This, along with increased exports and manufacturing, ensures that Shanghai is now the world’s busiest container port. Have a look at the ranking’s of the busiest ports below. China certainly leads the way with seven ports in the top ten.